I did not drain, peel or seed the tomatoes, I simply cut cherry tomatoes, in half! 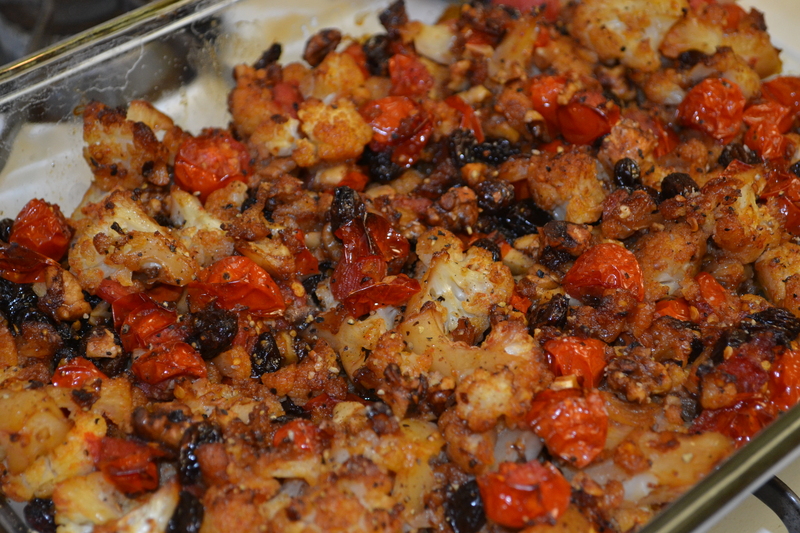 It was a fulfilling roasted vegetable dish (not to mention, gorgeous), that I will make again! 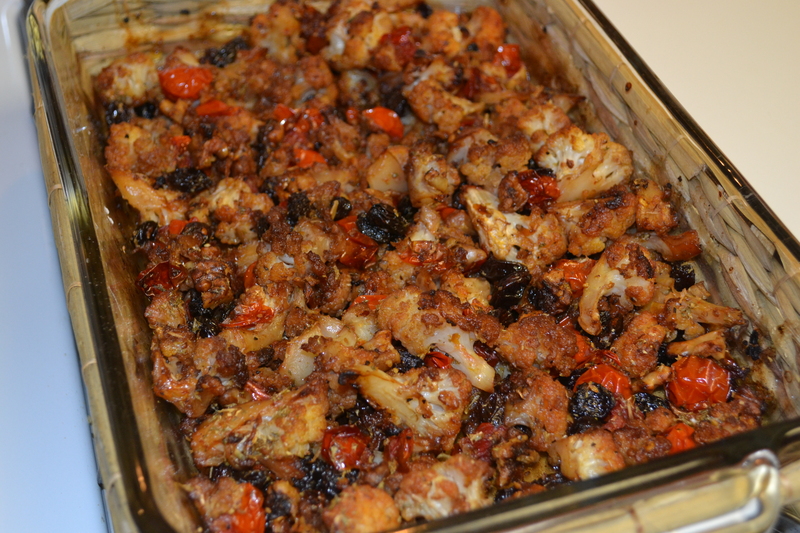 My version took probably 1/2 the time compared with the original recipe, and is Paleo friendly! 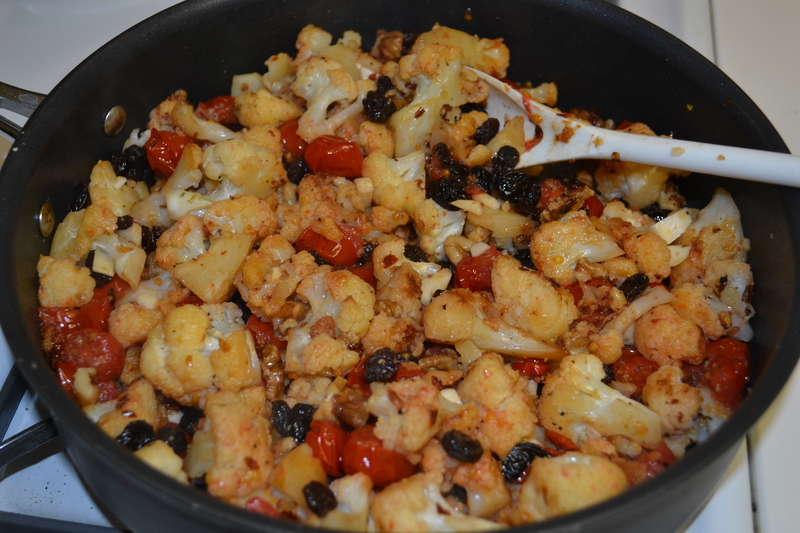 This entry was posted in Recipes and tagged Paleo, Pan Fried Cauliflower, Raisins, Raw Organic Coconut Oil by livinglikelinds. Bookmark the permalink. It was. I could eat cauliflower until the cows come home. Omg! Make this for us when you are home!!! Please! YUMMY!!! I made a bastardized version of this last night – missing some ingredients (or their reasonable substitutes). Thumbs up around here from 3 out of 4 of us, but Bradley wouldn’t knowingly eat cauliflower, so I consider it a resounding success! Thanks Debbie, glad to hear! I LOVE cauliflower, in part for it’s versatility 🙂 Glad you enjoyed! !